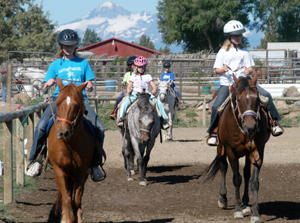 Diane's Riding Place offers the perfect environment for you and your family to ride horses in Bend, Oregon. They invite riders of all ages to come join the fun. 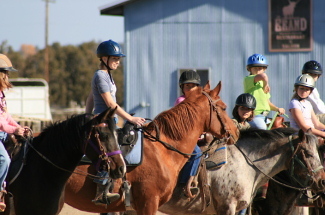 Horseback riding and lessons are available for cowboys and cowgirls of all skill levels. Horses are hand picked, and well suited for each riders ability. Become a confident horseman while enjoying the beautiful scenery of the Three Sisters Mountains. Bring your family, the Central Oregon outdoors awaits. Our horseback riding and lessons are available by appointment, 7 days a week. Choose the option best for you.